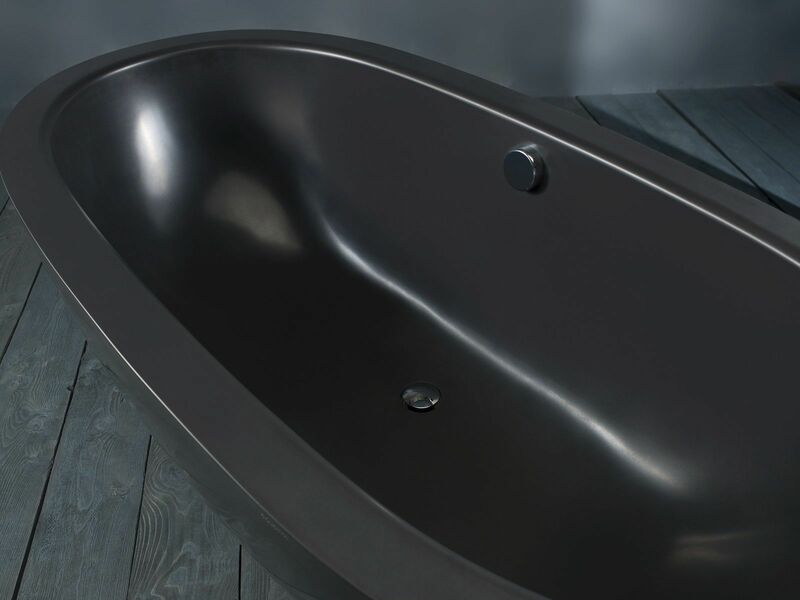 The striking, graphite black matte finish of the Karolina Graphite Black Freestanding Bathtub is beautifully enhanced by its solid, freestanding construction. 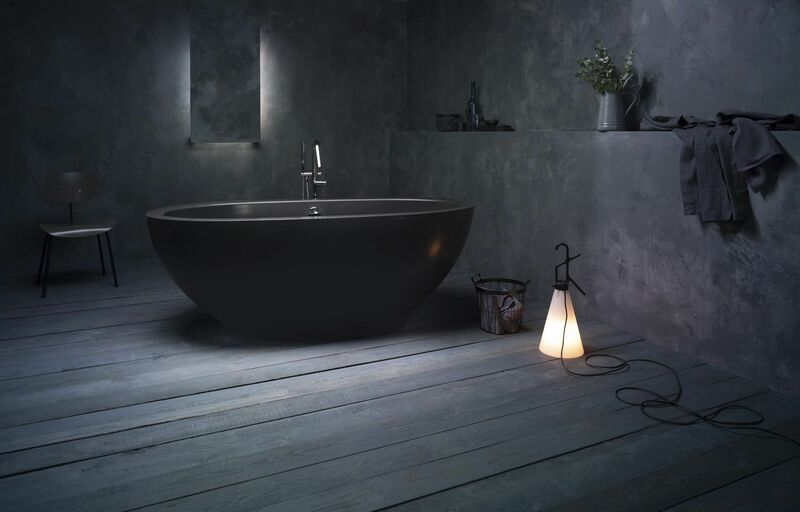 A special oven-baked painting technique ensures that the color is consistent throughout thetub's thickness and thus will not fade or lose its brilliance over time. The unique design of this tub is reminiscent of a beautiful, antique Greek vase. Its imposing, high-end design boasts a usefully wide, sturdy rim and a solid matte surface of Aquatex Matte material, which creates excellent heat retention. The Karolina is one of Aquatica’s largest designs and is ideal for one or two bathers. 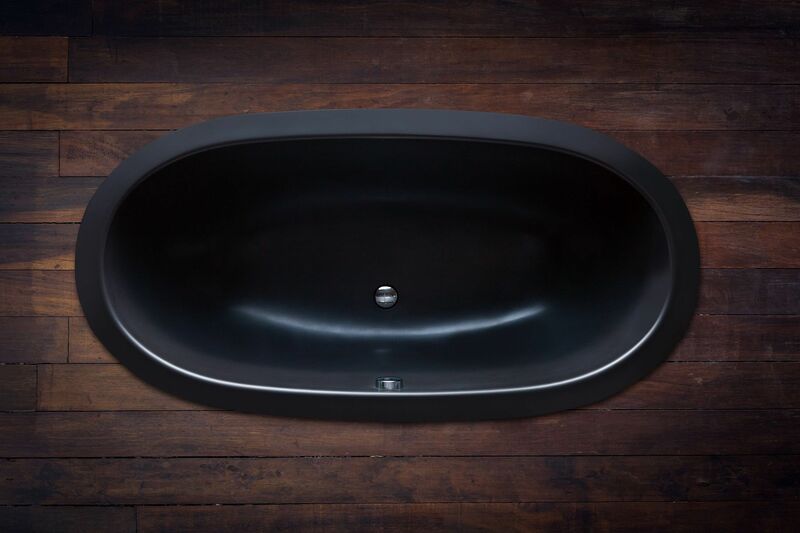 Not only is it extra deep to provide for a full-body soak, but its ergonomic shape forms to perfectly fit the body and provide ultimate comfort.